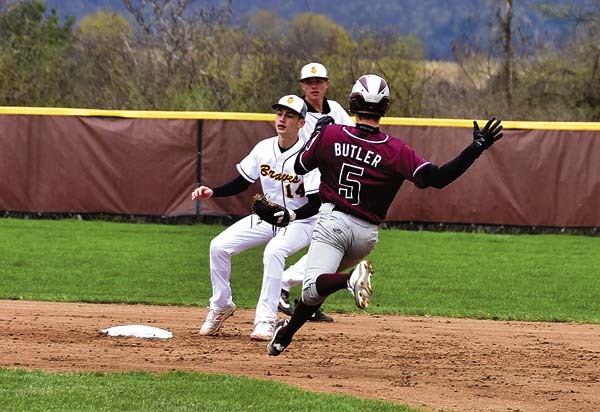 AMSTERDAM — After three former Amsterdam Mohawks were selected in the second round of the Major League Baseball draft Tuesday, another eight were taken on the final day of the draft Wednesday. Justin Yurchak, Evy Ruibal, Tyler Ratliff, Jonathan Pryor, Connor Johnstone, Connor Heady, Griffin Roberts and Tim Naughton all were drafted Wednesday. Yurchak, who played for the Mohawks in 2015, was taken in the 12th round by the Chicago White Sox with the 357th pick. Yurchak came to the Mohawks in 2015 from Wake Forest and transferred to Binghamton University. The Shenendehowa High School graduate played third base and hit .306 in 47 games for the Mohawks. He had seven doubles, three home runs, 25 RBIs and scored 34 runs. This season at Binghamton, Yurchak hit .320 in 43 games with nine doubles, three home runs, 26 RBIs and scored 30 runs. Ruibal, who played in Amsterdam in 2015, was selected in the 16th round by the Los Angeles Dodgers with the 490th selected. He had a 2-1 record with a 4.38 ERA in 39 innings with 39 strikeouts. At Notre Dame this year, Ruibal had a 5.52 ERA in 14 2/3 innings pitched and struck out eight batters. Ratliff, a 2016 Mohawk, was selected in the 17th round by the Texas Rangers with the 524th pick. Ratliff played just 13 games for the Mohawks in 2016. The Marshall third baseman/pitcher hit .227 with two doubles, two home runs, four RBIs, scored seven runs and stole three bases. On the mound, he pitched three games for a total of five innings. He had a 3.60 ERA with nine strikeouts. This year at Marshall, Ratliff hit .295 in 53 games with 15 doubles, three triples, 11 home runs, 47 RBIs and scored 53 runs. On the mound, he had a 1-0 record and three saves with a 1.29 ERA. In seven innings, he struck out 11 batters. Pryor, who played for Amsterdam in 2014, was selected by the Washington Nationals with the 583rd pick. Pryor was an outfielder from Wake Forest in 2014 with the Mohawks. He played 44 games and hit .252 with 11 doubles, one triple, drove in 24 runs, scored 23 and stole nine bases. At Wake Forest, Pryor hit .354 in 63 games this season. He had 21 doubles, 4 home runs, 35 RBI and scored 55 runs. Johnstone, who played for the Mohawks in 2014, was taken the 21st round by the Atlanta Braves with the 583rd pick. Johnstone started eight games and had a 3-2 record. In 41.1 innings, he had a 3.27 ERA with 26 strikeouts. This season at Wake Forest, Johnstone had an 8-0 record in 15 starts with two complete games. In 92.1 innings, he had a 3.61 ERA with 69 strikeouts. Heady was taken in the 23rd with the 700th pick by the Los Angeles Dodgers. Heady, who played for the Mohawks in 2014, only played in four games before going home due to injury. In those four games, he hit .214 with two RBIs, three runs scored and stole one base. At Kentucky this season, Heady hit .276 in 66 games with nine doubles and seven home runs. He drove in 32 runs and scored 47. Roberts was selected in the 29th round by the Minnesota Twins with the 856th pick. Roberts pitched for the Mohawks in 2016 out of Wake Forest. He had a 4-1 record with a 3.34 ERA in 35 innings and struck out 41 batters. At Wake Forest, Roberts was 2-5 with eight saves in 29 relief appearances. He had a 2.19 ERA in 53 1/3 innings, struck out 80 and held opposing hitters to a .160 average. Naughton was selected in the 34th round by the Baltimore Orioles with the 1,028th pick. Naughton was primarily the Mohawks closer in 2016. The North Carolina State right hander had a 4-1 record with 5 saves and a 1.88 ERA. In 28 2/3 innings, he accumulated 43 strikeouts, good for a 13.5 K/9 ratio. At N.C. State, Naughton made 11 appearances and had a 3.00 ERA with 13 strikeouts in 12 innings. 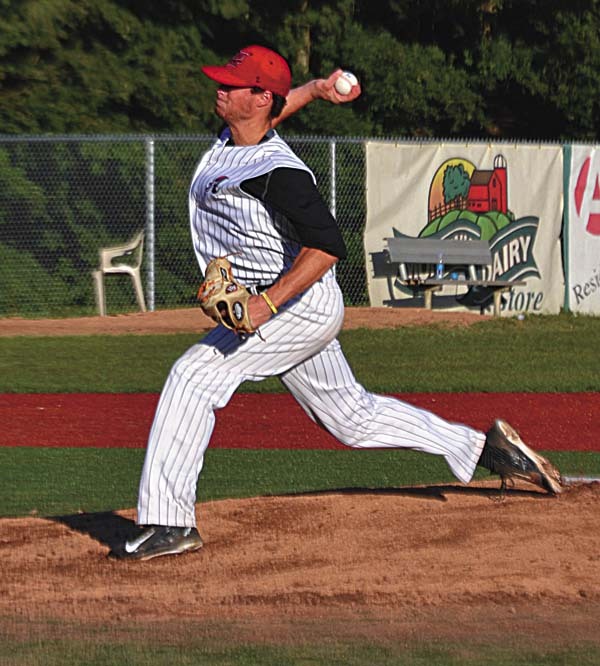 On Tuesday, Riley Mahan, who played for the Mohawks in 2015, was taken in the third round by the Miami Marlins with the 89th pick. The only former Mohawk to be selected higher was Mel Rojas Jr., who was selected 84th in 2010. In the ninth round, 2015 Mohawks Craig Dedelow and Zach Logue were selected. Dedelow, who plays collegiately for the University of Indiana, was selected by the Chicago White Sox with the 267th pick. Logue, who plays collegiately at the University of Kentucky, was taken by the Toronto Blue Jays with the 279th pick. The three-day draft began Monday with the first and second rounds. On Tuesday, rounds three through 10 took place and the draft concluded Wednesday with the 11th through 40th rounds.